Prokopi. Prokopi is a small village with 1100 inhabitants in northern Evia. 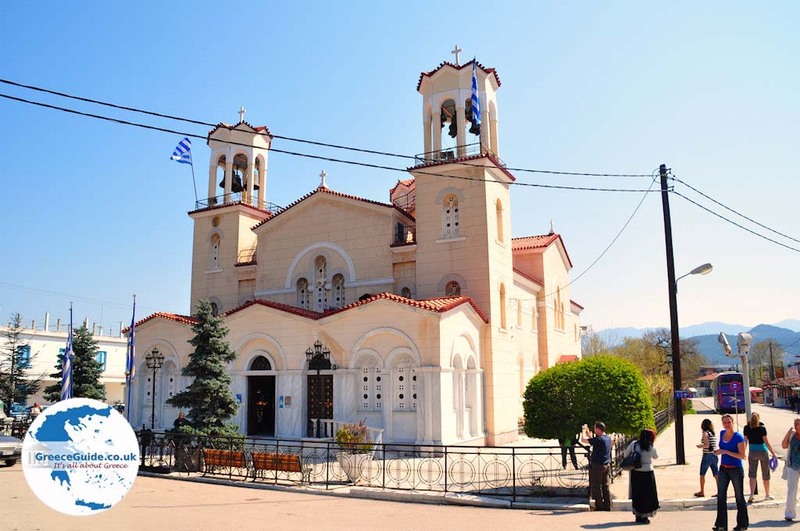 The village is visited all year by thousands of people, especially since here is the church of Agios Ioannis the Russian. 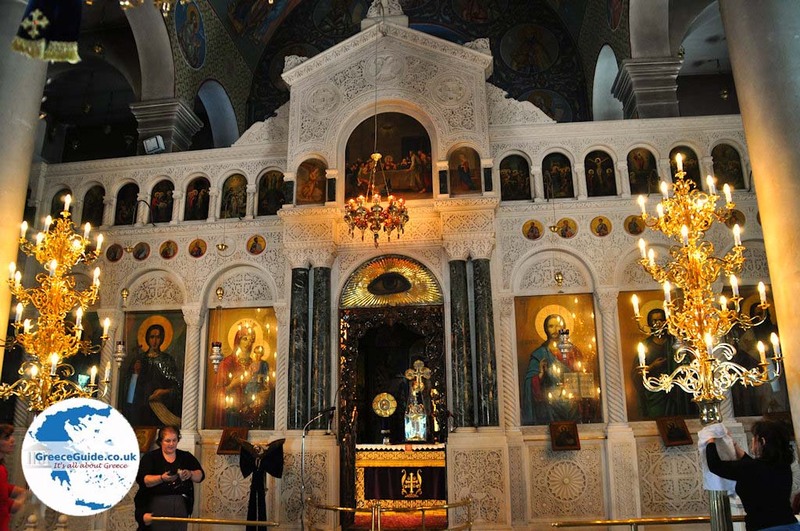 It's actually a place of pilgrimage where the faithful go, not only the Greek Orthodox, but also Russians, Serbs and other Orthodox believers. In fact, in this church is the body of Agios Ioannis o Rossos (the Russian). Agios Ioannis came from Ukraine. During the Russian-Turkish war of 1711 he was captured by the Tatars, who fought with the Turks at that time. The Tartars committed him to a Turkish officer in the village of Prokopi in Asia Minor (modern Turkey). He became a slave of the Turks and he was tortured, especially since he would not convert to Islam. When he was about 40, he deceased (May 27, 1730). When in 1924 the Greeks had to flee from Prokopi from Turkey, they took the body of Saint Ioannis with them to Greece. The Greeks have settled in North Evia at the village Emin Aga. This village is known as “Neo Prokopi”, meaning “new Prokopi”. Prokopi is located 50 kilometers northwest of Halkida and 10 kilometers from Mantoudi. The road between pine and plane trees is breathtaking. Prokopi is a pleasant village with lovely cafes and souvenir shops where many local products are sold, as honey and pasteli (= cake of honey and sesame seeds). Every year on May 27 the day of Osios Ioannis the Russian is celebrated and there is a procession in the village. The original Prokopi is located in Kappadokië (Turkey) and is called today Ürgüp. 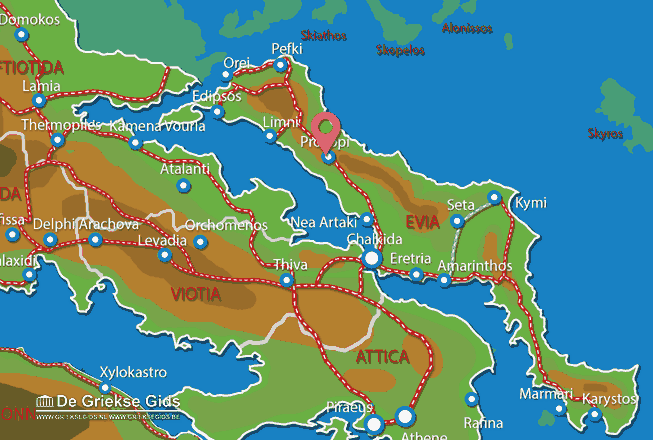 Euboea: Where on the map is Prokopi located?